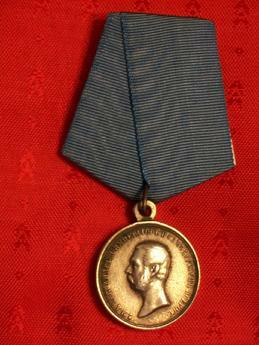 You are looking at a medal for zeal, first instituted in December 1801 during the reign of Tsar Alexander I. After the death of Nicholas I, the medal was reissued in 1855 and 1863 wearing the semblace of the new Sovereign, Tsar Alexander II. The Medals were awarded for long, zealous service in the Armed Forces or to civilians for their zealous support to the state. The obverse of the Silver Medal shows the truncated bust of Alexander II facing left with a circumscription meaning: "Alexander II By the Grace of God Emperor and Autocrat of All Russias". 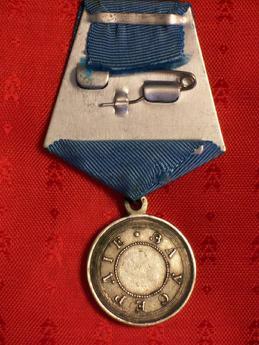 The reverse of the medal has an inscription encircled by several concentric lines and an inner circular broken line signifying: "For Zeal".